These days, many marketers assume that they have to fork over thousands of dollars for online advertisements if they want anyone to know about their business. That’s not actually the case, though. Research shows that content marketing yields triple the ROI as paid search. This is great news, especially for small businesses that don’t have a ton of cash to spend on their marketing efforts. With the right content marketing strategy, they can see great results without having to find extra room in their budgets. 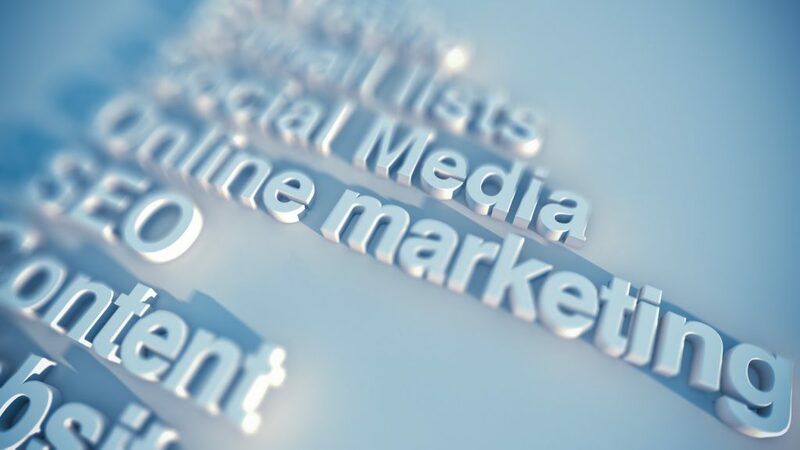 Read on to learn about six types of content marketing that will help you to improve your search engine rankings and boost sales. Content marketing is a marketing strategy dedicated to the creation and distribution of online content. The goal of content marketing is to consistently provide individuals with valuable and relevant content. With this content, you can educate customers, solve problems for them, and increase the likelihood that they will eventually purchase your products or services. With content marketing, the goal is not to directly pitch products or services. Instead, you provide content that is useful to your audience. By doing this, you can build your online reputation and establish yourself as a reliable resource within your industry. Everyone knows about blogging these days. Many businesses still aren’t making use of blogs, though. Blogging is also a relatively easy-to-start content marketing method, too. There are lots of programs out there that simplify the process and can help you set up and publish a blog within a couple of hours. It doesn’t require you to spend a lot of money up front, either, but it does require a significant time commitment. The key to having a successful blog (one that helps generate more revenue for the business) is to publish posts on a regular basis. You’ll also need to make sure the posts are unique and address specific questions or issues that are relevant to your target customer. The popularity of video marketing is growing at a rapid rate, and it’s not showing any signs of slowing down. If you’re not putting out videos to spread the word about your company, now is the time to start. Many businesses have found great success in sharing regular videos on YouTube. They treat video in a similar way to blogging and use YouTube to share helpful information and answer questions that are relevant to their customer base. They may also use the channel to conduct interviews with industry experts or share more information about the company and what separates it from the competition. Infographics are another popular tool for sharing information online in a clear, easy-to-digest format. Infographics are images that break down a concept or answer a question with the help of additional pictures, text, and statistics. Many businesses use infographics as part of their social media content marketing strategy (more on that later), especially on highly visual platforms like Pinterest. When you’re working on creating infographics, it can be hard to know what kind of information to share. As a general rule, though, any topic that benefits from visual aids is a good topic for an infographic. You can use infographics to answer questions, present statistics, or even break down your products and explain what makes them unique. Sometimes, you need to share a lot of information about a particular subject and a blog post just won’t do it. If you find that a particular blog post is getting to be too long or complicated, consider putting that information into an eBook instead. eBooks are downloadable documents that delve deeper into a specific topic. An eBook is also a great lead generation tools. Many businesses offer website visitors a free copy of an eBook in exchange for signing up for their email list. Podcasts are a growing medium, and many businesses are using them to grow their audience and engage with them in a unique way. Podcasts provide leads and customers with audio content that they can listen to while they’re driving to and from work, cleaning the house, or doing anything else. Many people love podcasts for learning new information or just for general entertainment. If you want to reach a new audience and share information in a less visual way, podcasting is definitely an option to consider. Finally, you can’t talk about establishing and improving your content marketing strategy without also talking about social media marketing. Social media is a great place for sharing helpful, relevant content to your current and future customers. Making use of things like Instagram live videos, Facebook live videos, and Instagram stories provide you with new opportunities to provide value to your audience. They also allow you to find out what they want to know more about when it comes to your business’s products and services. Social media also helps you to develop a relationship with your audience, which is essential for building brand loyalty and establishing a strong online reputation. As you can see, there are many different types of content marketing you can use to grow your audience and spread the word about your business. Which type of content marketing are you going to try first? Of all these different strategies, blogging is one of the most effective and one of the easiest to get started. It also proves time and time again to be one of the most lucrative options for all kinds of businesses. Check out this article on making a blog on WordPress today. It’s full of helpful information that will have your blog up and running in no time at all!